When space is limited (and even when it's not), wall-mounted organizers are often useful tools. 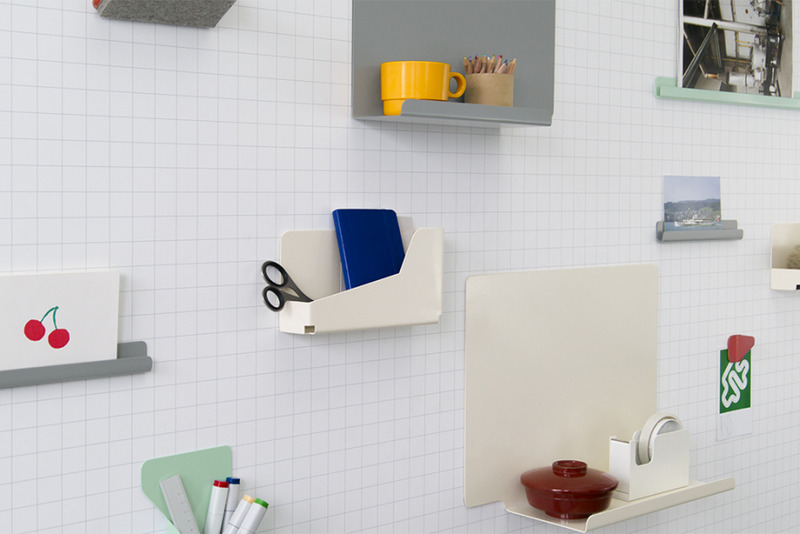 Wall space provides many organizing options: hooks and shelves, of course, but also an array of other designs. The Aitio collection from Iittala, designed by Cecilie Manz, provides storage for all sorts of things. There are three different sizes of boxes, a shelf, and hooks that can hang off the boxes. 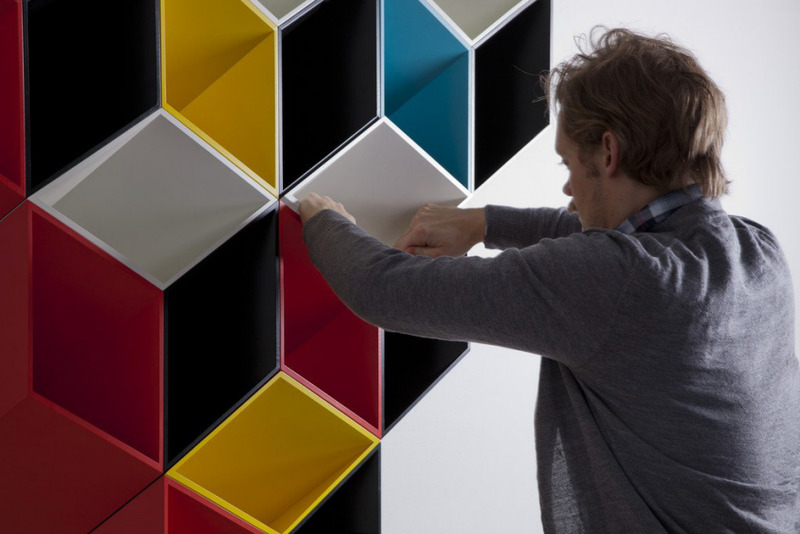 The boxes are made from powder coated steel and hold up to 20 kg. The boxes can also be used on a tabletop—helpful if the end user's needs change over time. 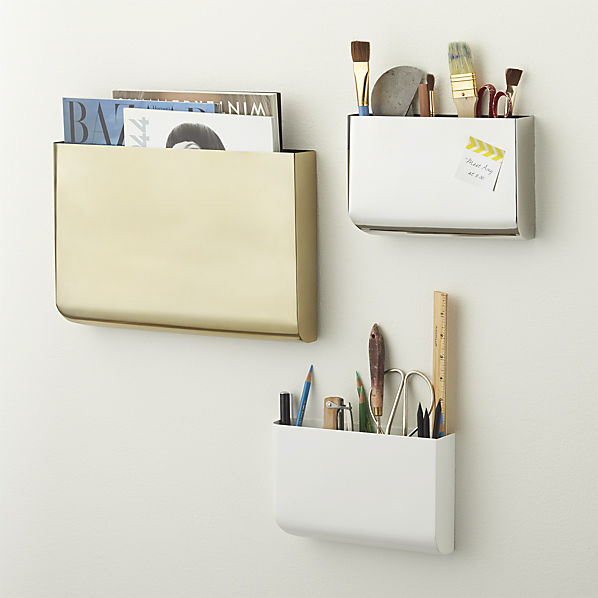 The Revere wall-mounted storage pockets from CB2 come in two sizes. The larger one is a couple inches taller than the largest one in the Aitio collection; it's intended mostly for magazines, but would also work for other papers where the extra height helps keeps them upright. But there's no pocket for smaller items as there is with the Aitio boxes. The Tasche wall pockets from Desu Design are eye-catching; the latigo leather is hand stitched with waxed twine. The size looks a bit tight for holding magazines; I'd like a bit more width so it would be easier to put them away. These pockets aren't going to be as practical as ones made from powder coated steel in a workspace where things often get filthy, but could work nicely in other environments. 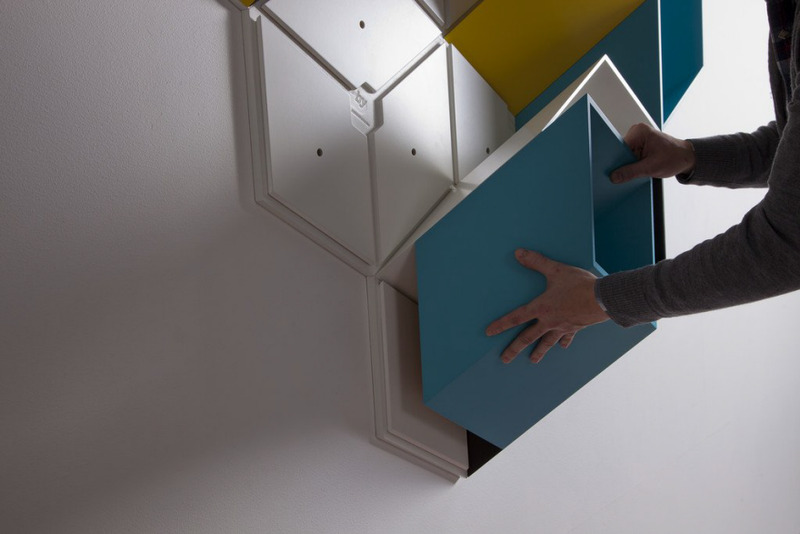 Imeüble, from By Corporation, is a series of units that include a hexagon backplate (which mounts to the wall with three screws) and three boxes that slide onto that backplate. Imeüble CI is a set of seven units, but individual units (with 11 choices of colors) are also available. The boxes are made from Valochromat and coated with varnish. The designer is Bjørn Jørund Blikstad. 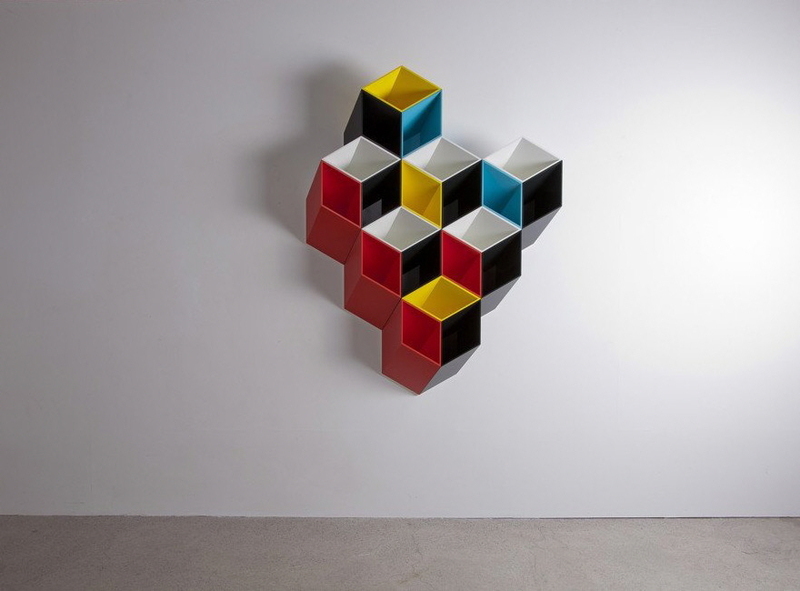 With its 3D look, this is a piece that serves as art but could also provide practical storage for larger items. I don't know how much using it as storage would interfere with the look, though. We've written before about Visual Magnetics and its retail-related products. 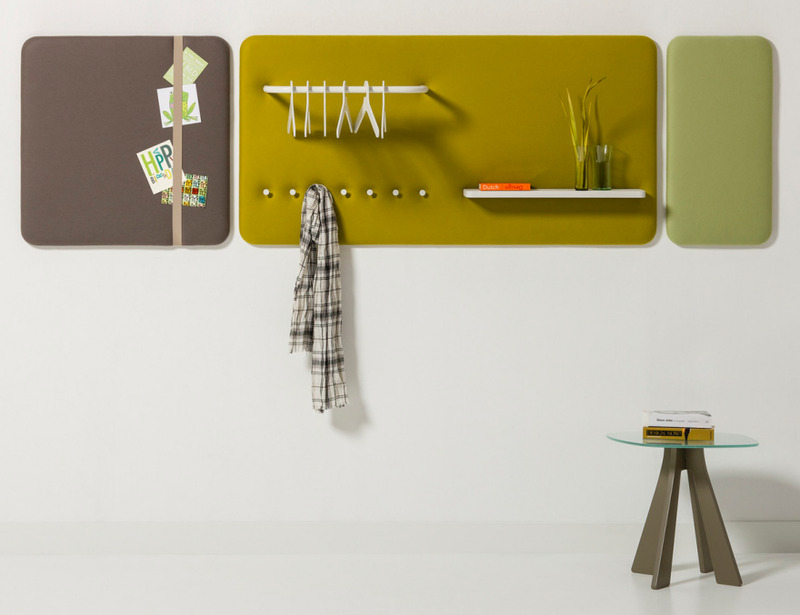 But the company also has its Dynamic Spaces collection—magnetic wall materials intended for offices, homes and more. The collection includes dry-erase wall coverings (with grid patterns and more) that go over a series of InvisiLock magnetized tiles. 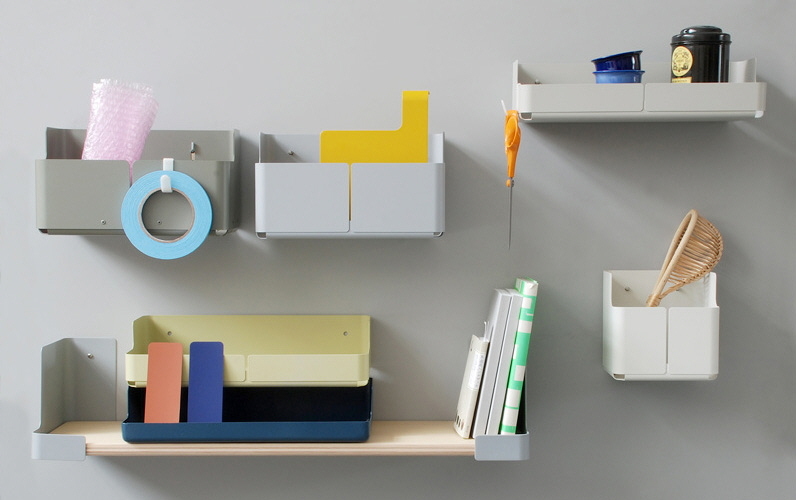 And with the Polarity collection, designed by Visibility, there are pockets, shelves and other tools that can get added to the walls, using no hardware—and they can be moved around at will. 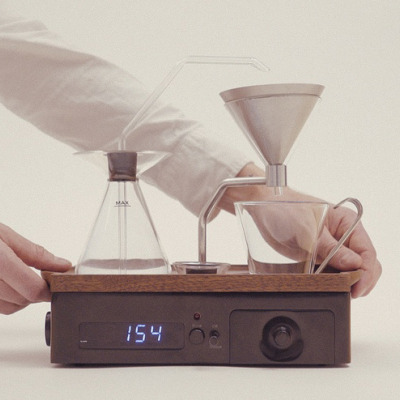 This collection seems like a very useful extension to the product family. 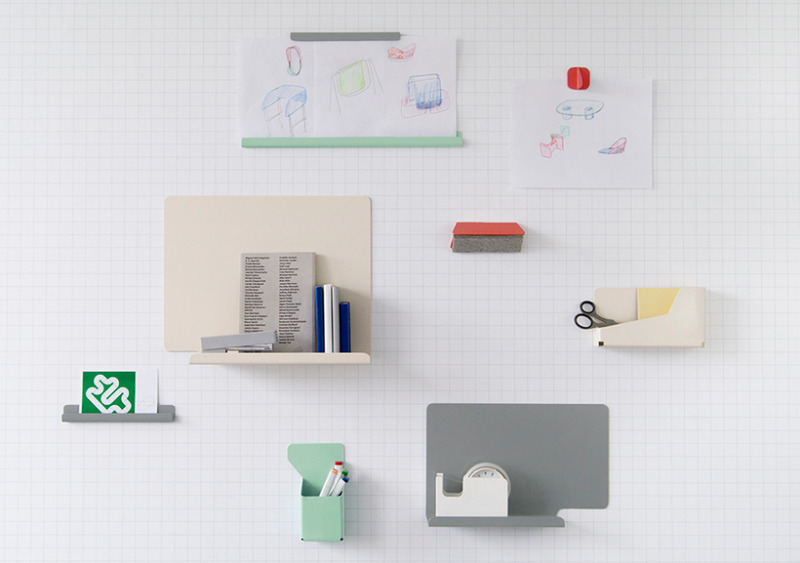 The Pocket Strip from Three by Three, designed by Gwen Weinberg, combines a pocket with a magnetic board, using small rare earth magnets (which need to be kept away from small children and pets). 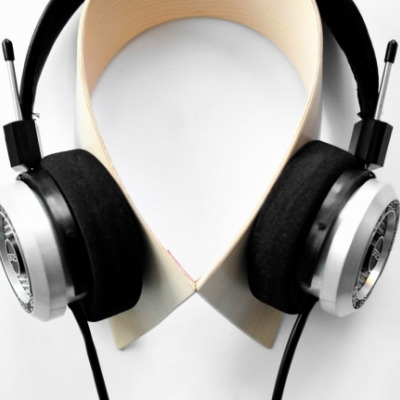 The Pinorama from Hay, designed by Inga Sempé, has a cork backing to allow papers to be pinned to it. 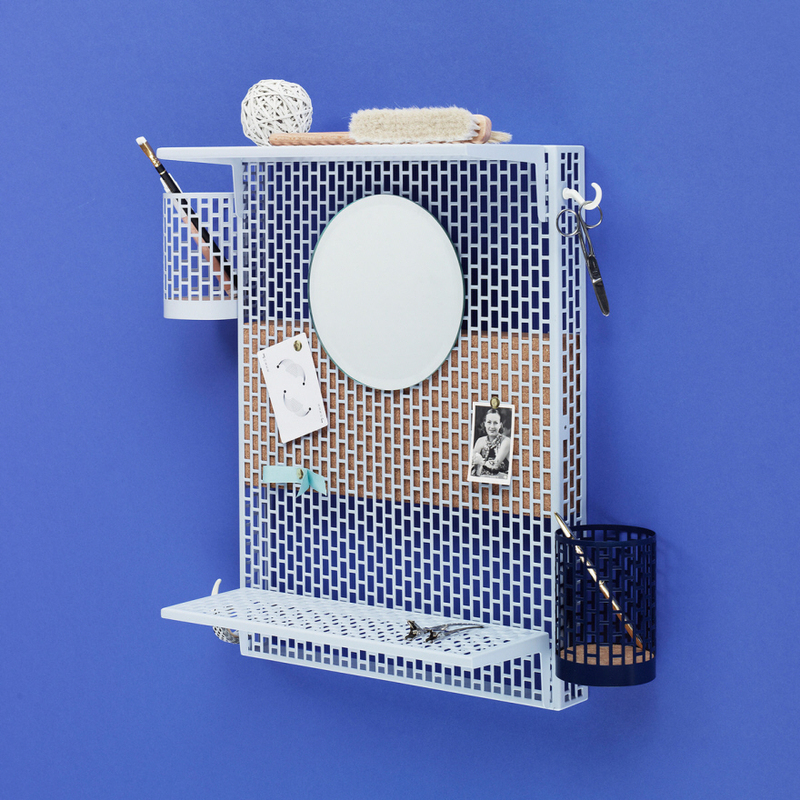 Shelves, pen holders and hooks (and a mirror) can be added to the metal frame; end users can choose the options that work for their needs. 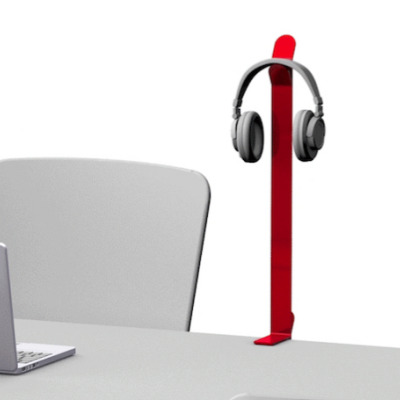 The Pinorama is designed to hold different items than the pocket organizers will; it can hold a number of things that normally accumulate on a desktop (such as pens, scissors, a stapler and small papers) if desktop space is scarce and wall space is available. 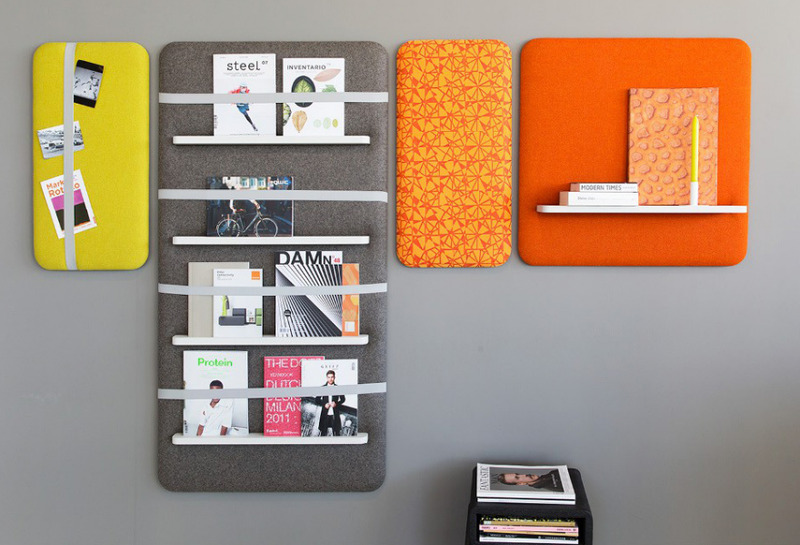 The Cascando Pillow Wall, designed by Robert Bronwasser, uses acoustic wall panels with round corners (which feng shui followers will appreciate) to create a wall-mounted storage system. This system can hold papers, magazines and more—and can also provide hooks and hangers for jackets, scarves, etc. 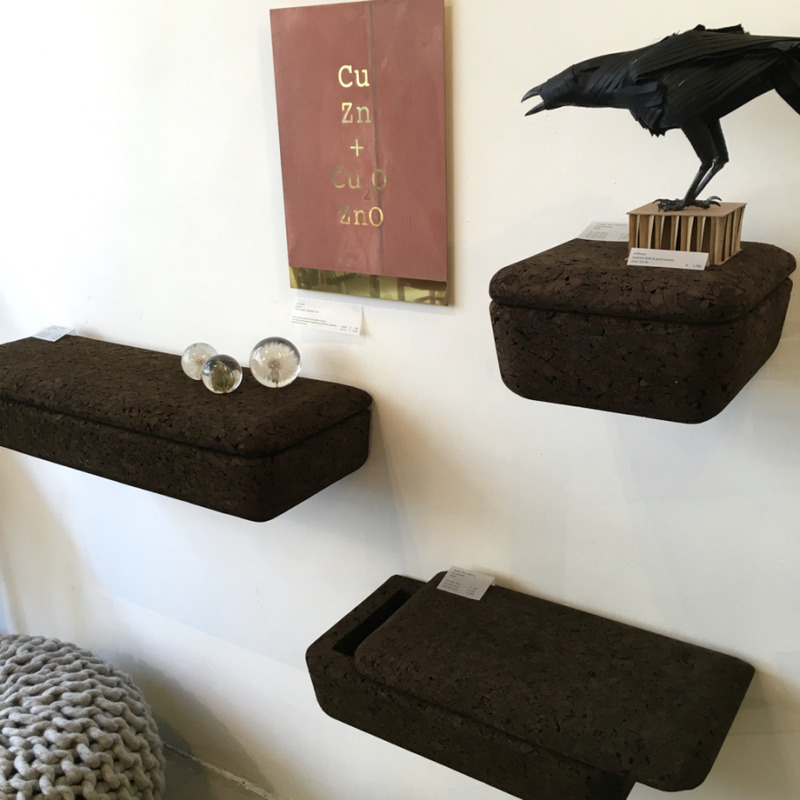 The Magic Box shelves designed by Rui Pereira for Blackcork allow for hidden storage, for those end users who prefer that look. 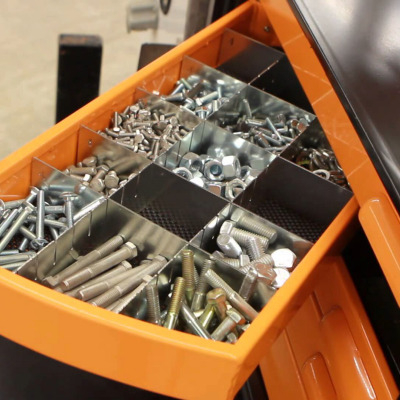 And even those who generally prefer visible storage may have a few things they'd prefer to keep out of sight.